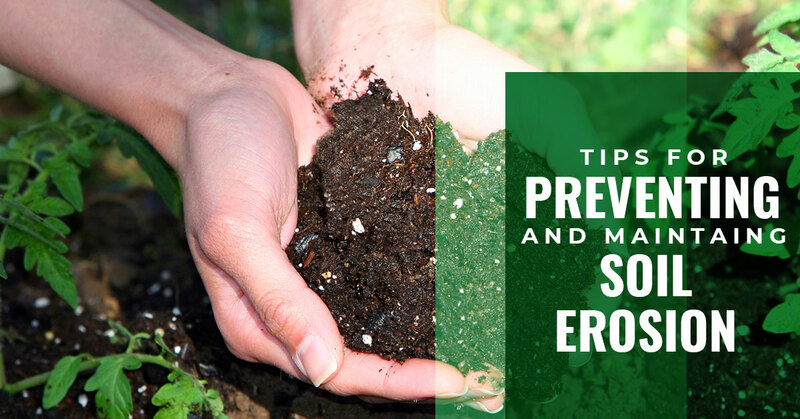 Soil erosion can lead to all kinds of problems for any farm, but luckily, there are many things you can do to control and manage it. #1. Use vegetation as ground cover. As we mentioned in our previous blog, when there isn’t plantlife to keep the soil structured and hold it in place, soil erosion is much more likely to occur. If your farm has large areas without any vegetation, it’s time to plant some vegetation. Vegetation will help to bind and cover the soil. The best options for soil erosion prevention include wild flowers, herbs, small trees and creepers — which are extremely effective because they spread out by crawling along the ground so they cover more territory — but even grass can go a long way toward preventing soil erosion. Traditionally, crops are planted in straight lines, but with contour farming, crops are planted according to the field’s contour lines — or the lines of consistent elevation. This helps to create reservoirs that conserve rainwater and prevent the top level of the soil from eroding. In addition to conserving water and preventing soil erosion, contour farming also helps to increase water infiltration in your crops and makes water distribution more uniform. Although water is the main culprit for soil erosion, wind can also play a big role in erosion. If wind is the major cause of soil erosion for your farm, it’s time to consider creating a windbreaker. Windbreakers can be made by planting a row or evergreen trees along the perimeter of your farm. This will help to prevent wind from blowing at and eroding your soil, which leads to healthier crops, higher quality crops and better yields. Furthermore, as an added bonus, crops that are protected from the wind with windbreakers retain more moisture. Cover crops are planted between planting seasons, and although they serve many purposes, their number one purpose is to prevent erosion. The dense cover crops stand between your soil and the rainwater, which helps to slow down the water before it can reach the soil’s surface. This helps to prevent the soil from splashing when the water hits it. Cover crops also help to prevent erosion through their complex root systems, which provide more structure to the soil and help to keep it in place more effectively. However, the benefits of planting cover crops go far beyond soil erosion prevention. They also help to increase soil fertility, improve soil quality, enhance water absorption, prevent weed growth and break disease cycles. #5. Reduce or eliminate tillage. Tillage can be beneficial for farmers in many ways. It is used to prepare seed beds, suppress weed growth, aerate the soil, turn over crops, bury crop residue and incorporate fertilizer and manure into the soil, among other things. However, there’s on major downside to tillage — it contributes to soil erosion and negatively affects the quality of the soil. 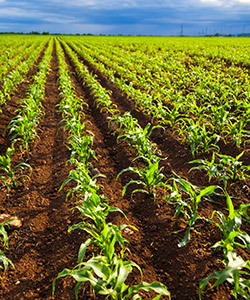 Frequent tillage disrupts and fractures the structure of the soil, leading to erosion and poor soil quality. However, there’s an alternative — no-till farming. No-till farming offers many benefits. It helps to keep the soil structure strong and maintains the residue in the surface, which makes it better able to stand up to wind and water runoff. It also allows the crops to break down naturally in the soil, which keeps the soil fertile and nutrient-rich. These are all effective ways to reduce soil erosion, but if you’d like professional help preventing and managing soil erosion on your farm, please contact us at AGPROfessionals today. As your premier source for agricultural development in Greeley, we’ve got you covered.